From the modern art of the lobby to the indulgences of each newly renovated 5-star room and suite to the pleasures of its dining experiences Sofitel Jinan Silver Plaza captivates the senses. 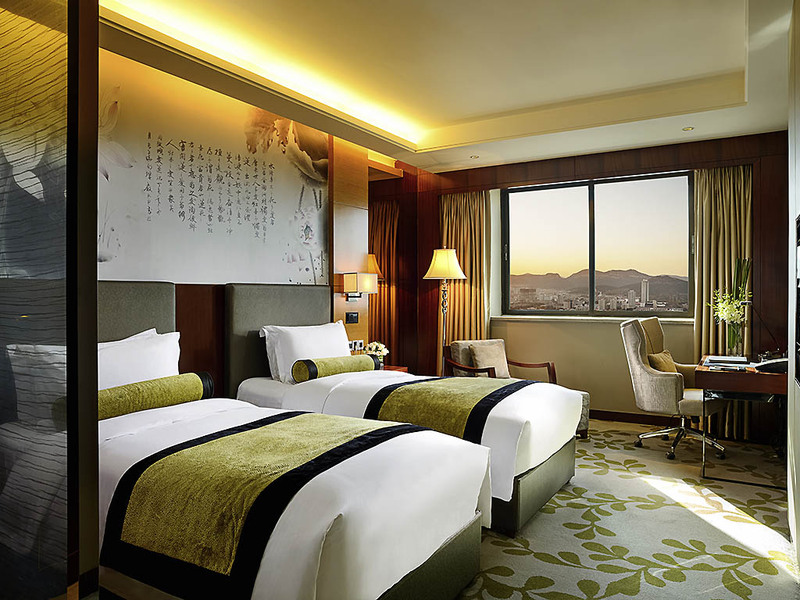 The Jinan luxury hotel enjoys a very central location in the CBD the central business district of Jinan city with a number of city attractions within 1-2 km including Baotu Spring Daming Lake and Thousand Buddha Mountain. 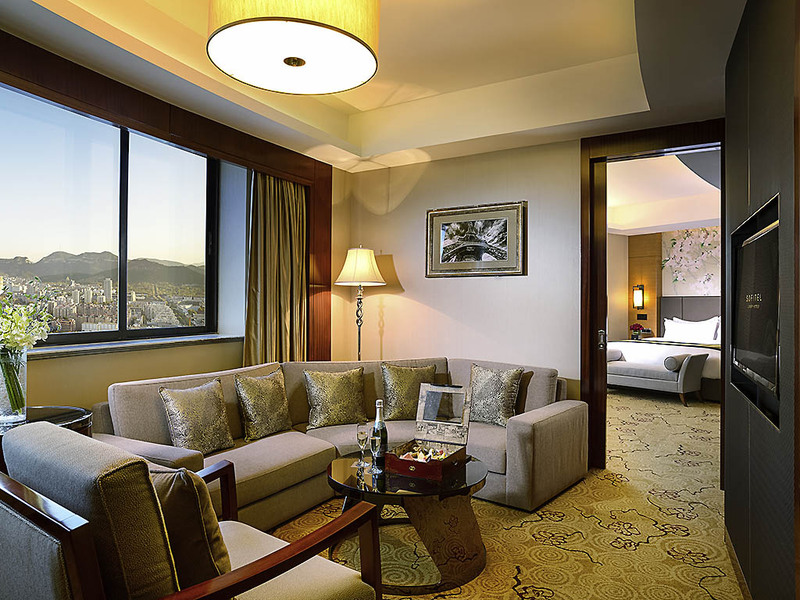 Located in the heart of the Jinan's Central Business District, close to a shopping mall. Walking distance to Baotu Spring and Thousand Buddha, only 10-minutes by taxi to Daming Lake. Walking distance to BaoTu Spring and Thousand Buddha Mountain, only 10-minutes by car to DaMing Lake. Each Sofitel is a unique blend of the French art de vivre and local refinement. At Sofitel Jinan Silver Plaza, explore harmonizing elements of East and West - blended in design, art and an exceptional choice of Shandong, Asian and international cuisine. Soaring marble pillars in the lobby lift your gaze as you drink in the grandeur of the open space. As Sofitel Ambassadors welcome you, admire exquisite artwork painted especially for Sofitel by famous Chinese artists Fan Zeng and Kang Ning. Discoveries continue in the guest rooms. A unique freehand sketch adorns each spacious Eastern-style room, while Western ones are elevated by sophisticated colors and chic furnishing. 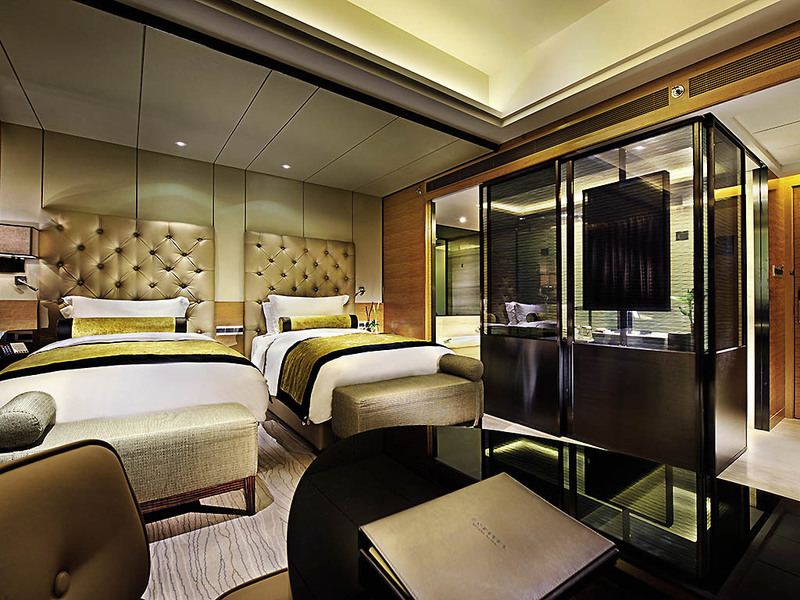 Your Sofitel MyBed is fitted with luxurious sheets. In addition to an ancient patrimony, Jinan is renowned for its many artesian springs. Nearby Baotu Spring Park is an enchanting way to while away a tranquil afternoon, listening to the sound of gently bubbling water, shaded by graceful weeping willows. From the airport, take the eastern ring road, take the Jingshi East Road exit, follow the signs to Spring Square. The hotel is on the eastern side of Spring Square.From the railway station, take bus no. 49 to the Silver Plaza Shopping Centre. The hotel is next to the shopping centre. From Beijing to Jinan City, take the Jingfu Highway, take the Jinan City exit and then follow the Shunhe Viaduct to Spring Square. The hotel is on the eastern side of Spring Square. 426 rooms and suites located on 11-46 floor, personalized design, free broadband access; all club rooms equipped with WiFi and broadband, L'Occitane/Hermes amenities and Sofitel Mybed. Non smoking floors available. 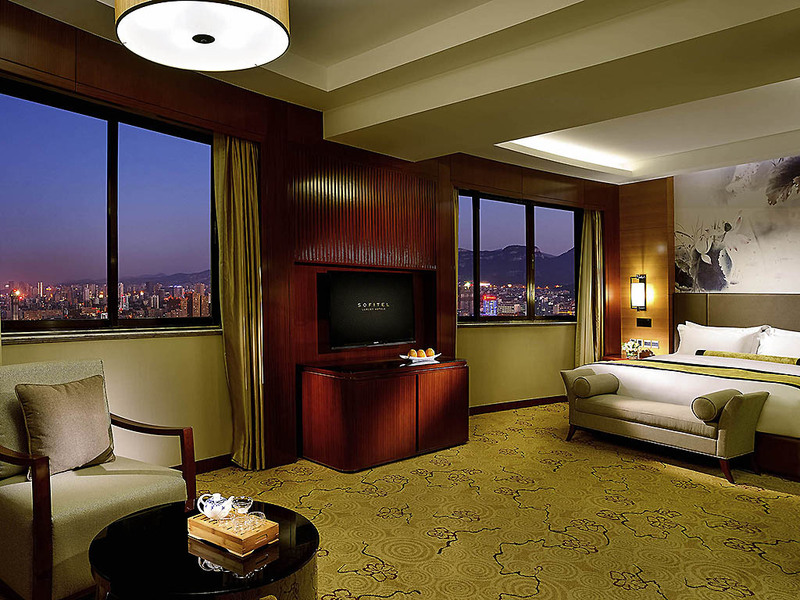 Sofitel Jinan luxury hotel offers guests an exquisite retreat of their very own in each suite. Enjoy Sofitel MyBeds luxury French bath amenities espresso machines high-tech entertainment systems free WiFi and access to the Club Sofitel lounge. 40 SQM / 420 SQFT, Level 14 - 19, Sofitel MyBed, Shower, Lanvin Bath Amenities, Complimentary Wi-Fi and Broadband, 42-Inch TV, Mini-Bar, Non-Smoking Rooms Available Upon Request. 40 SQM / 420 SQFT, Level 14 - 33, Sofitel MyBed, Shower, Lanvin Bath Amenities, Complimentary Wi-Fi and Broadband, 42-Inch TV, Mini-Bar, Non-Smoking Rooms Available Upon Request. 55 SQM / 590 SQFT, Level 26 - 33, Sofitel MyBed, Shower, Lanvin Bath Amenities, Complimentary Wi-Fi and Broadband, 48-Inch TV, Mini-Bar, Non-Smoking Rooms Available Upon Request. 45 SQM / 480 SQFT, Level 22 - 39, Sofitel MyBed, Shower, Lanvin Bath Amenities, Complimentary Wi-Fi and Broadband, 42-Inch TV, Mini-Bar, Non-Smoking Rooms and Extra Bed Available Upon Request. 45 SQM / 480 SQFT, Level 40 - 45, French Elegant Design with Chinese Element, Walk-In Closet, Sofitel MyBed, Shower, Lanvin Bath Amenities, Complimentary Wi-Fi and Broadband, 42-Inch TV, Mini-Bar. 55 SQM / 590 SQFT, Level 40 - 45, French Elegant Design with Chinese Element, Walk-In Closet, Sofitel MyBed, Shower, Lanvin Bath Amenities, Complimentary Wi-Fi and Broadband, 42-Inch TV, Mini-Bar. 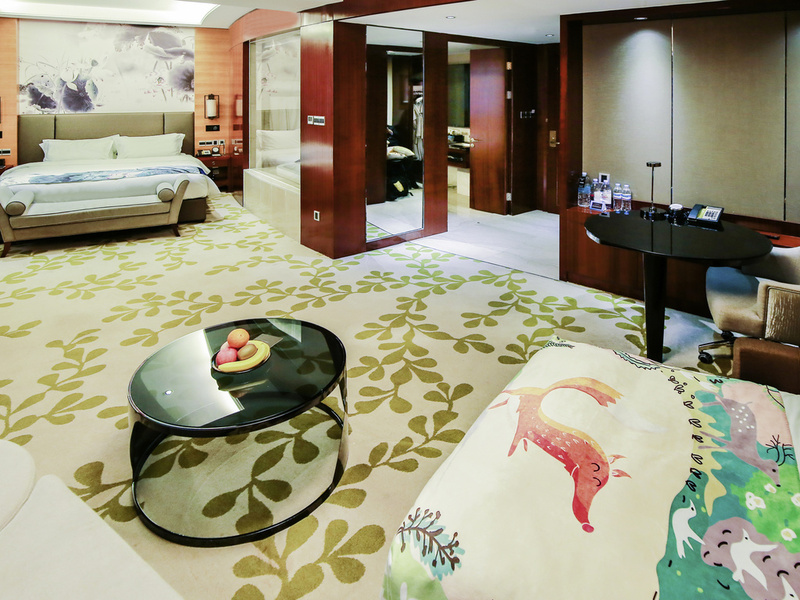 55 SQM / 590 SQFT, Level 14 - 39, French Elegant Design with Chinese Element, Lounge Area and Walk-In Closet, Sofitel MyBed, Shower, Lanvin Bath Amenities, TV Embedded in Bathroom Mirror, Complimentary Wi-Fi and Broadband, 48-Inch TV, Mini-Bar. 70 SQM / 750 SQFT, Level 35 - 43, Lounge Area and Walk-In Closet, Sitting Area, Sofitel MyBed, Shower, Lanvin Bath Amenities, TV Embedded in Bathroom Mirror, Complimentary Wi-Fi and Broadband, Mini-Bar, Espresso and Tea Machine. Club Sofitel guests savour the hotels premier accommodation in Club Sofitel Luxury Rooms and Suites as well as exclusive VIP services and benefits from express check-in and check-out to daily pressing or laundry services. The Club Sofitel lounge welcomes guests for evening happy hours with fine wines cocktails and canapes in addition to daily fruit coffee tea soft drinks and light snacks plus complimentary meeting room internet and iPad usage and more. For a gloriously indulgent morning, enjoy an epicurean breakfast served in your room. Buttery viennoiseries, fresh aromatic coffee, steaming dim sum or aromatic wonton soup arrive at your door as early or as late as you desire. Dine on true Asian feasts at Cafe 66. Enjoy Chinese cuisine in the private rooms of The Garden. Savour authentic flavours at Chef Giancarlo Biachessis award-winning Italian restaurant Biscotti. Sofitel Jinan Silver Plazas lobby lounge transforms from an inviting modern tea house by day with premium steeped teas from China and abroad to an evening martini bar with a sophisticated but relaxed atmosphere live music and expertly mixed cocktails. At Silver Sky, marvel at revolving 360° views while sampling delicacies from Jinan to Paris. For your delight, Biscotti Italian Restaurant imports quality products like prime Parma ham. In private dining rooms, Cantonese and Shandongnese dishes are served with French panache. The highest revolving all-day dining restaurant in Jinan features 360° outstanding panoramic views of the city, mountain and Daming Lake. With interactive dining experience, this unique restaurant presents the best of Asian and Western Cuisines. Biscotti, the Italian restaurant was name after the famous Italian almond biscuit. It introduces you with the classic flavors of Italy in Sofitel Jinan. Select your favorite salami, Parma ham and cheese as the perfect ingredients. Enjoy genuine Chinese Cuisine with seafood specialties in The Garden. All kinds of fresh sea foods are available in various cooking styles to cater to the different travelers' needs. 1,950 sqm of meeting and function space with 13 function rooms, the ballroom caters up to 850 guests.Our InspiredMeetingsTM Concierge will be entirely dedicated to your event from the beginning to the end. Latest conference technology, video and teleconferencing facilities, high speed broadband Internet access, high speed wireless Internet, advanced audio-visual and conference equipment are set up. The hotel is also proud to maintain the 1118 sqm pillarless ballroom hosting up to 850 guests. Celebrate your love with luxurious style and a touch of French romance. Western weddings amidst 5-star opulence. Traditional Chinese ceremonies in an illuminated ballroom. Lavish banquets and sparkling champagne. Host an unforgettable Jinan wedding. Sofitel's InspiredWedding Planner brings passion, creativity and dedication to every wedding - imagining, personalising and managing each event. Choose from a number of sensational themes or custom-design a fantasy wedding. Delight your guests with luscious bites of innovative cuisine. Embrace Chinese heritage. Select from Western and Chinese menus, or serve a delicious marriage of traditional Chinese wedding dishes and artistically displayed gourmet European creations. At the romantically decorated Grand Ballroom or waterside of Daming Lake enjoying the natural beauty. Sofitel's InspiredWedding Planner will guide you in selecting an indoor or outdoor venue and tailoring it to your personal love story. 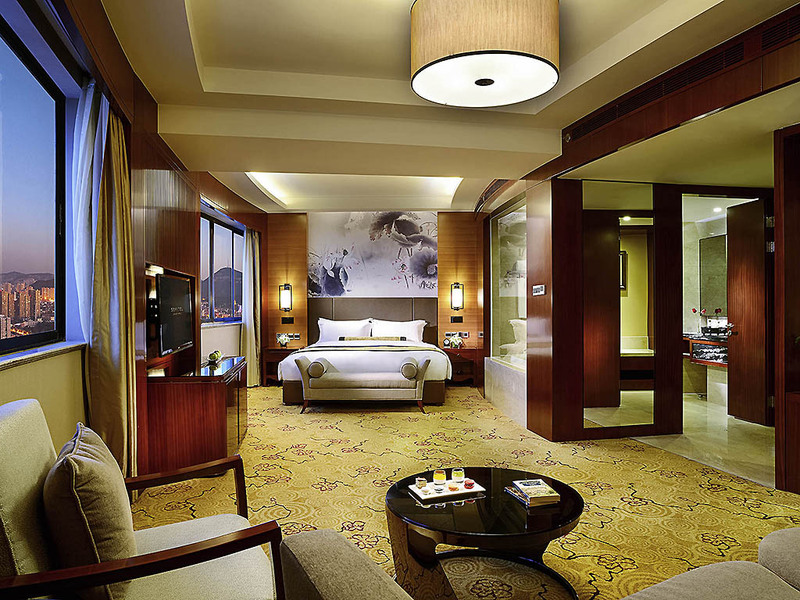 Sofitel Jinan Silver Plaza offers 355 luxurious guest rooms and suites. Enjoy an indulgent honeymoon suite for your first night as husband and wife, and accommodate wedding guests in elegant style. 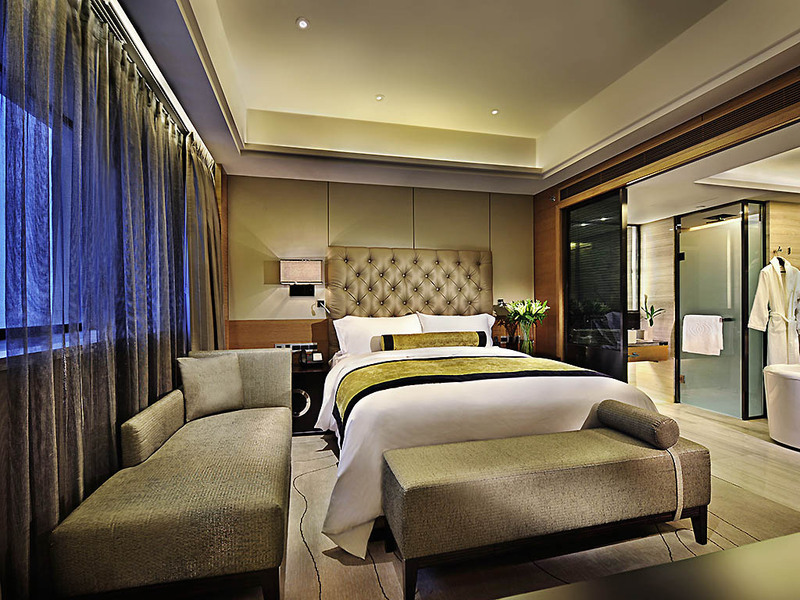 Sofitel Jinan Silver Plaza is located on Luoyuan Avenue in the city's CBD (central business district). 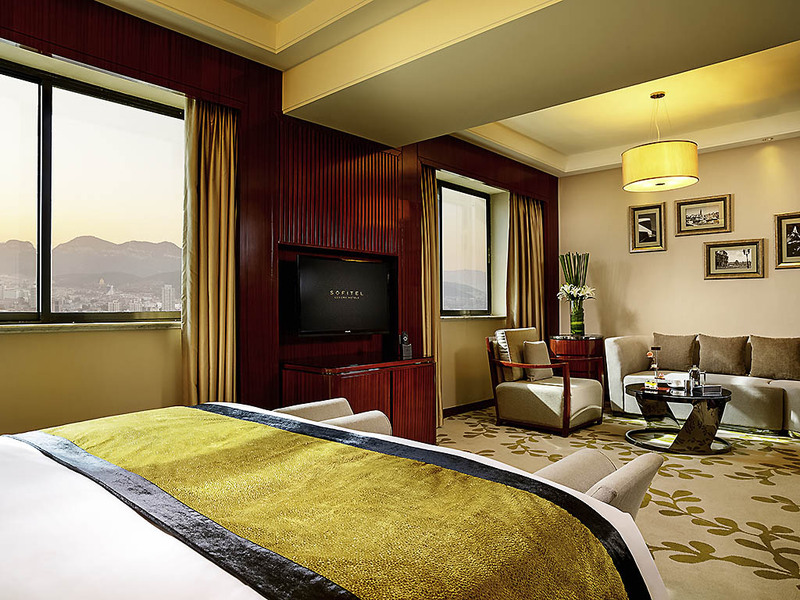 The hotel is a 45-minute drive from Jinan International Airport. In Jinan, a city of water and life, spend an intimate honeymoon together. Your room or suite is a heavenly retreat, providing all the romance and privacy you desire. Continue the celebration with a multi-course dinner or a scenic promenade at Daming Lake. 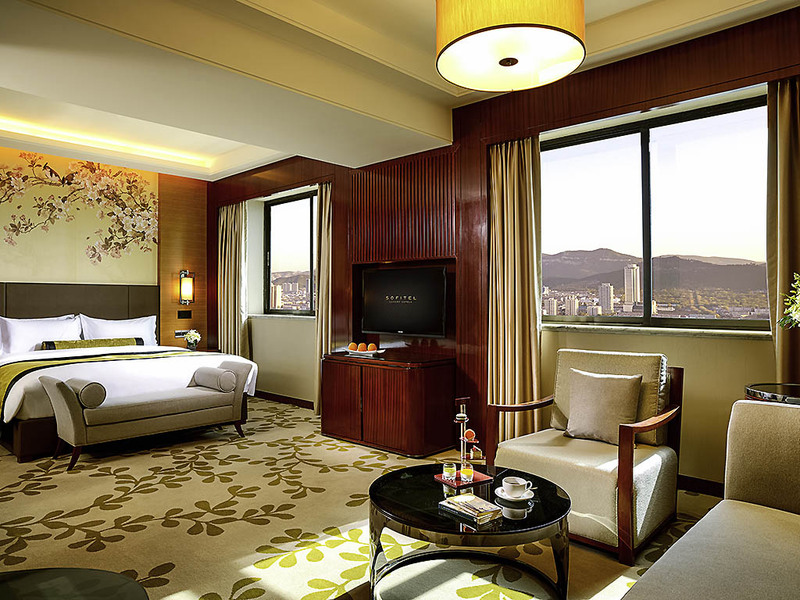 Sofitel Jinan Silver Plazas professional team caters to guests needs with a full range of 5-star hotel facilities - concierge dry cleaning babysitting the art gallery florist business centre car hire and numerous additional services. For a smooth and comfortable journey to Sofitel Jinan Silver Plaza or to make the most of a day's sightseeing, a fleet of chauffeured vehicles is at your disposal. Please contact our concierge to make a reservation or to help plan an excursion. Guests enjoy complimentary access to the largest and most professional gym in Shandong Province. The 1000 sqm Inzone Gym boasts an ample supply of Matrix equipment a range of fitness classes and spaces bathed natural light.